Chris Duffey Best Gay and Lesbian Wedding Planner: Karen Hester. How's this for family values: Rush Limbaugh can marry four times, but the crooner he hired to do his music — none other than Elton John (?!) — can't get legally hitched. Never mind. 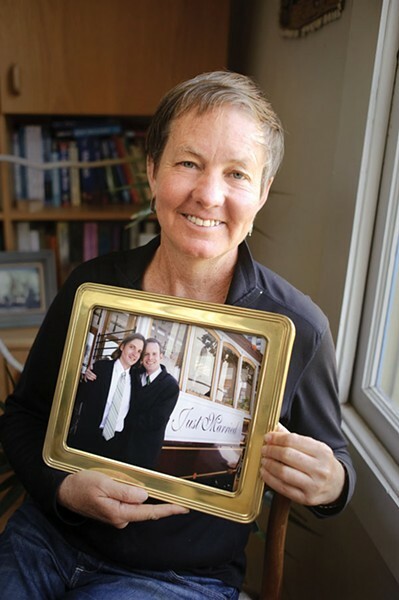 As equal-rights heroes fight the good fight in California's legislative halls, gay and lesbian couples can move ahead on preparations for their Big Day with the help of wedding planner Karen Hester of Here Comes the Pride. A longtime community activist and events coordinator — she's organized major outdoor festivals in the East Bay like Berkeley Earth Day and Out and About Rockridge — Hester hooks her clients up with gay and lesbian caterers, florists, and musicians and offers packages that range from a wedding for two to adventure events in which the whole wedding party can kayak, hike in giant redwoods, or go on a scavenger hunt through San Francisco or Berkeley. Whatever package her clients choose, with Hester, love prevails.